SeaWorld Orlando was always a favorite when my kids were young. My son was always fascinated by the beautiful and graceful creatures and he would giggle uncontrollably at the antics all around him. I know there always seems to be some sort of controversy when it comes to SeaWorld but in reality SeaWorld does so much good that never makes the news. They do it every day. The number of rescued and rehabilitated creatures that SeaWorld cares for is large. The SeaWorld rescue team has helped more than 31,000 animals in need. The number of creatures successfully returned to the ocean is unbelievable. I personally can’t wait to see all the new things coming to SeaWorld Orlando in 2018. 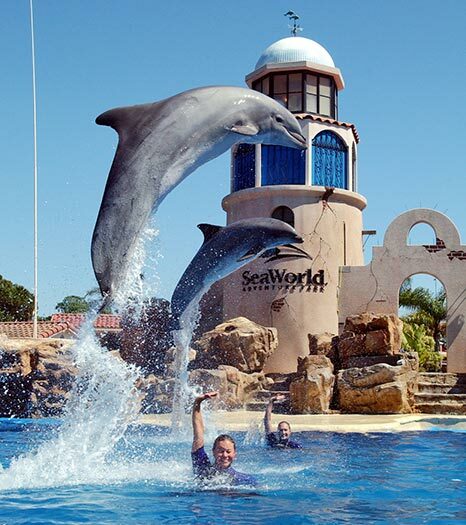 SeaWorld Parks & Entertainment believes in inspiring guests to protect animals and the wild wonders of our world. The company is one of the world’s foremost zoological organizations and a global leader in animal welfare, behavioral training, husbandry and veterinary care. The company collectively cares for what it believes is one of the largest zoological collections in the world and has helped lead advances in the care of animals. 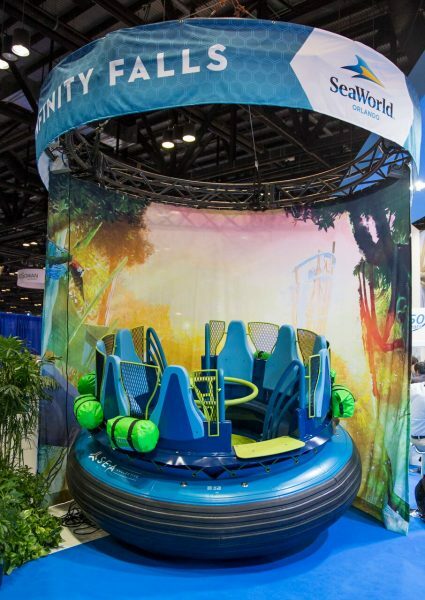 SeaWorld Orlando revealed the custom rafts for its new Infinity Falls river rapids attraction due to open in the summer 2018. The 8-passenger raft features custom theming and décor resembling supplies found on real white-water rafting expeditions. The circular raft design puts riders face-to-face and allows friends and family to enjoy this exhilarating attraction together. Aboard the raft, riders will embark on an adventure through a lush rainforest environment inspired by some of the world’s most incredible freshwater ecosystems. The new attraction will feature the world’s tallest drop on a river raft ride and allow visitors to experience the feel of exhilarating rapids. The ride will also feature an innovative elevator lift designed to transport the rafts to the top of the ride’s 40-foot drop. Infinity Falls will be the first attraction at SeaWorld to tell a story beyond the ocean and share a message of water conservation through the adventure of a white-water river expedition. This is just one example of the park’s new “Park to Planet” initiative, a mission to help guests understand some of the challenges facing the planet and inspiring them to help. The new attraction will be the centerpiece of a newly themed area designed to resemble the base-camp of explorers and scientists. After riding Infinity Falls, the entire family can explore the village and take part in interactive experiences that combine play with education to create a positive impact on freshwater ecosystems, reinforcing “Park to Planet” in real time. SeaWorld’s Animal Ambassadors will also provide up-close encounters with animals native to South America. “Rush the rapids on SeaWorld’s all-new river ride Infinity Falls. Climb aboard your raft for a journey of discovery down this lost jungle river. Wind your way around soaking fountains and waterfalls as you pass the remains of an ancient civilization. Hang on as the roaring world class rapids send you flying through chutes before you plunge down the tallest drop of its kind into churning whitewater. Your adventure ends at Harmony Village with a greater connection to the world’s rivers, inspired to spread the message of conservation. Explorers are wanted for the next expedition through Infinity Falls, coming to SeaWorld Orlando.” Coming in 2018! 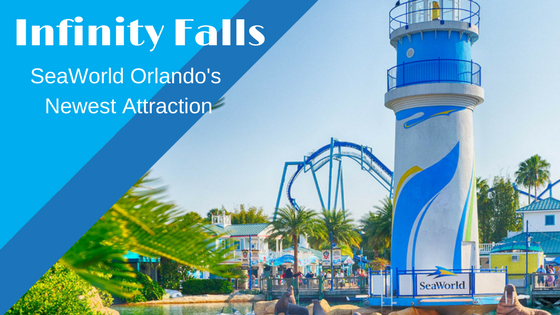 Get the latest Infinity Falls updates by following SeaWorld Orlando on Facebook, Twitter, Instagram and the SeaWorld Orlando Blog. At SeaWorld Orlando, the aquatic world comes alive. You can experience one-of-a-kind attractions, thrilling coasters and up-close animal interactions. 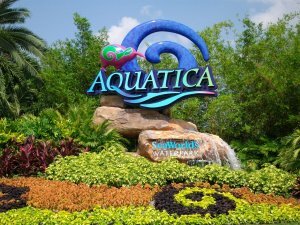 High-speed water slides and exhilarating wave pools, to tranquil beaches, Aquatica, SeaWorld’s Waterpark in Orlando, is a must visit spot for water lovers of all ages! 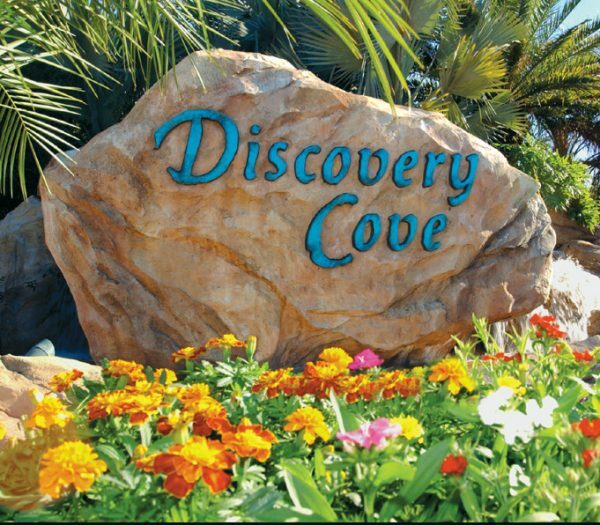 Discovery Cove in Orlando is an all-inclusive day resort where guests can enjoy a one-of-a-kind opportunity to swim with dolphins, rays and tropical fish and hand-feed exotic birds. It’s a day everyone will remember! 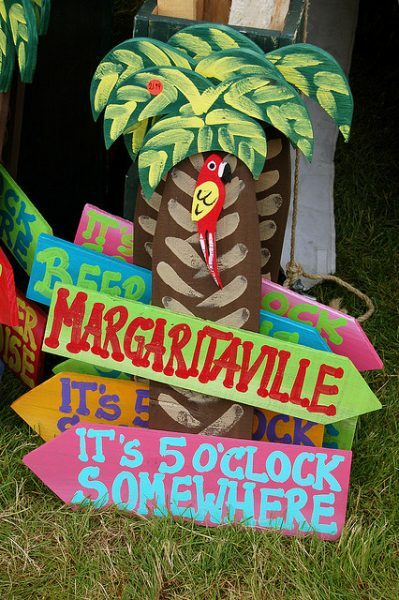 It will be 5 o’clock everywhere when Margaritaville Resort Orlando opens! 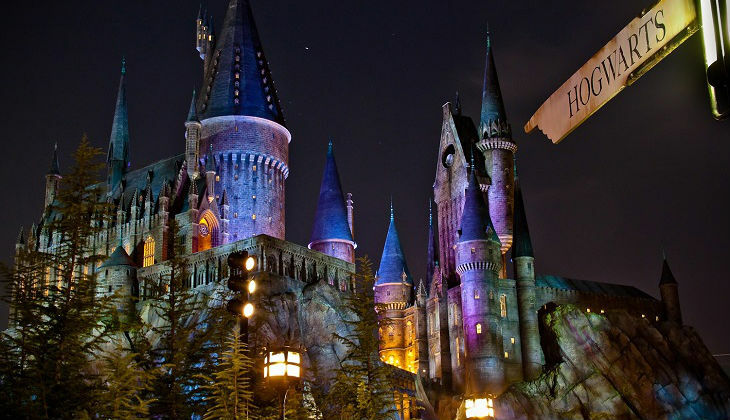 If you want to visit – you’re in luck! If you want to live there – you’re in luck too! The Margaritaville hotel, 200,000 square feet of shops and restaurants, vacation homes, and a water park – all in one spot! You’ll be able to live life as if you’re in a Jimmy Buffet song! I can’t wait! Margaritaville Resort Orlando will be themed around the coastal, paradise vibes of the popular laid-backed Florida based singer, Jimmy Buffett. 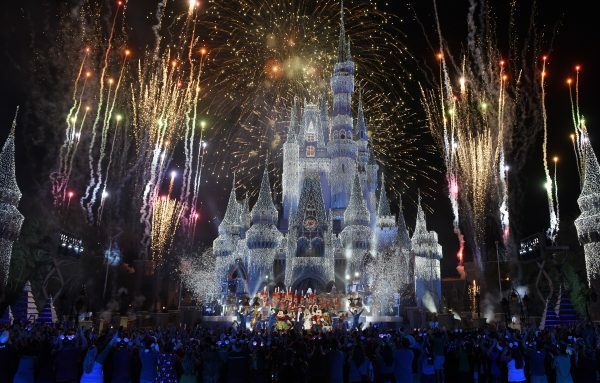 It will be constructed on the 305-acre parcel of land on U.S. Highway 192 (aka Irlo Bronson Memorial Hwy) in Osceola County near the Walt Disney World Resort theme parks. Back in the day, the theme park Splendid China, sat on the site, which closed its doors in 2003. The hotel is expected to have luxurious rooms and a water park. In addition, a “lagoon-sized” pool is also planned. The development plans also include a “FinCity” arcade, a St. Somewhere Spa, a planetarium, a Son of a Sailor fishing school, paddle boarding and kayaking. Additionally, 200,000 square feet of retail space will be built, as well as approximately 1,000 homes to purchase. The resort is scheduled to open in phases. Bring Paradise to Your Timeline! Follow Margaritaville Resort Orlando on Facebook for the latest news and updates about this unique, new, vacation location! Island Themed Instances are on Instagram! Video, views and news are all available to the faithful Margaritaville Resort Orlando Instagram followers! Wasting Away, (Blogging Away) in Paradise! The curious, intriguing and informative Margaritaville Resort Orlando Blog offers a bar side view of life from this special place in paradise! As information becomes available, I’ll be sure to keep you all up to date! Next time you’re in Orlando – start your engines – VROOOOOM! and head to Andretti Indoor Karting. Located across from the North end of the Orange County Convention Center, in walking distance of I-Drive, Andretti Indoor Karting offers free WiFi, great food, drink & fun. 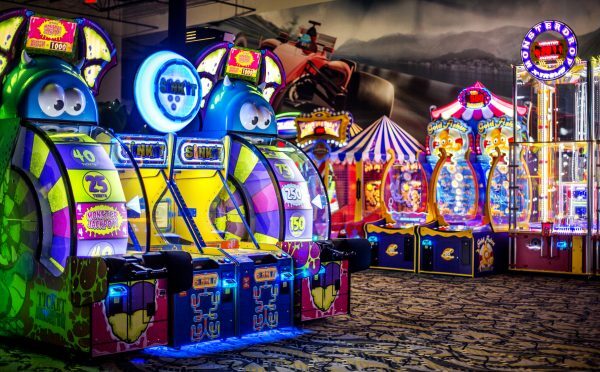 The new 150,000+ square feet indoor climate controlled facility features High Speed Electric Superkarts on a two-level modular track, 12 lanes of Bowling, over 120+ Arcade Games & Prizes, an Extreme Ropes Course with a curved Zip Line, 6 CXC VR Racing Simulators, Multi-level Laser Tag, 7D HD Dark Ride Interactive Motion Theater and a Full Service Restaurant & Bar. At Andretti Grill you’ll find fresh American favorites and pizza made in a Brick Pizza Oven. Relax in the full service bar and lounge while taking in all the action. 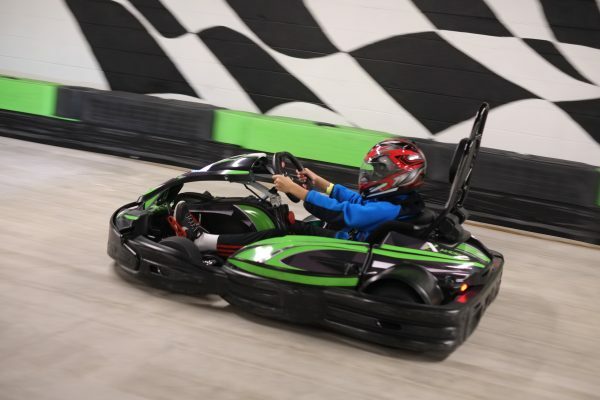 Take a break from the local theme parks and the hustle and bustle of Orlando at Andretti Indoor Karting & Games for a guaranteed full day of fun! 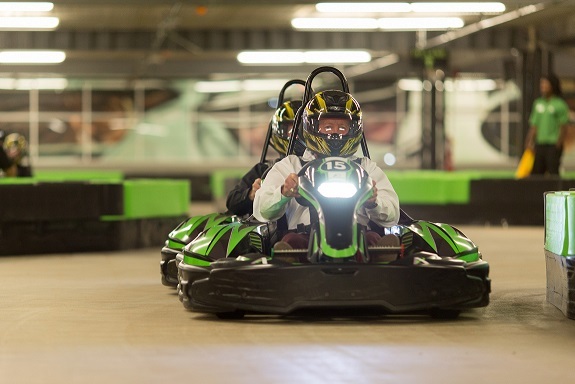 Andretti Indoor Karting & Games is the newest premier entertainment and event destination featuring heart-pounding attractions, delicious cuisine and unique event spaces under one roof. The Orlando location, the first in Florida, announces the soft opening date of Thursday, September 28, 2017 at 10 a.m. with 150,000 square feet of excitement at every turn and complimentary, ample surface parking. 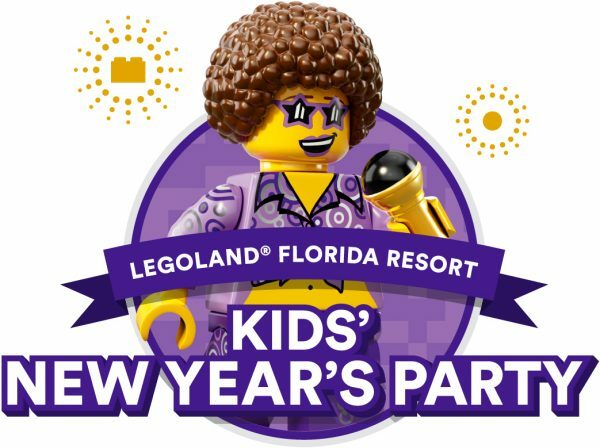 Sunday – Thursday: 10 a.m. to 12 a.m.
Friday – Saturday: 10 a.m. to 1 a.m.
All Central Florida residents with a valid ID will be treated to a complimentary $10 Play Card to enjoy arcade and non-redemption prize games (additional restrictions may apply). Andretti Indoor Karting & Games features high-speed electric SODI RTX Superkarts. The professionally designed multi-level, banked turn, modular track was created exclusively for the Orlando location by Kart360 with the most elevation changes and banked turns in the world. When the three tracks are combined, the Super Track is the largest indoor karting track in the United States. 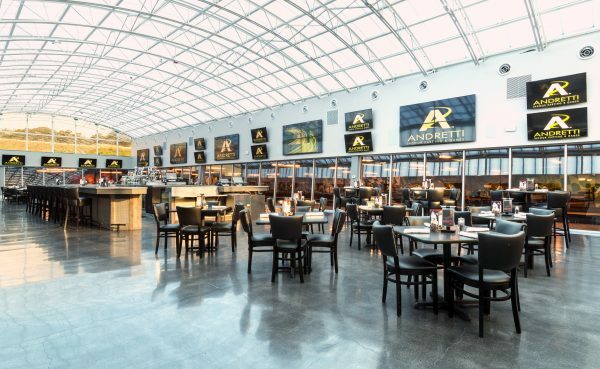 Andretti Grill is a scratch-kitchen, full-service restaurant and bar featuring favorites such as Big Green Egg® slow-smoked ribs and wood-fired brick oven pizzas. Guests can catch all the action of their favorite games on more than 100 HD TVs and projection screens while enjoying refreshing libations at the Main Bar or the unique Sky Bar, with a 180° view of the track and LED illuminated domed roof. valid for one year from date of purchase and are valid at any Andretti Indoor Karting & Games location. Members enjoy up to 20 percent off karting and attractions plus 15 percent off arcade play and 10 percent off bowling lane rental and meals in Andretti Grill. Andretti Indoor Karting & Games is the premier entertainment and event destination featuring heart-pounding attractions, delicious cuisine and unique event spaces. 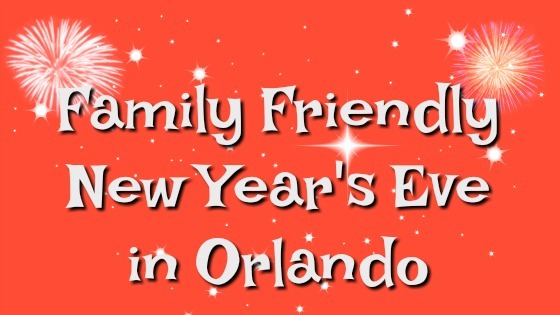 The Orlando location, the first in Florida, offers 150,000 square feet of excitement at every turn. Andretti Indoor Karting & Games was established in 2001 and is headquartered in Georgia with two successful locations in Roswell and Marietta. The company also owns and operates the outdoor Andretti Thrill Park in Melbourne, Florida. Andretti Indoor Karting & Games is located at 9299 Universal Boulevard, Orlando, FL 32819 at the corner of Convention Way and Universal Boulevard; walking distance from the Orlando/Orange County Convention Center. 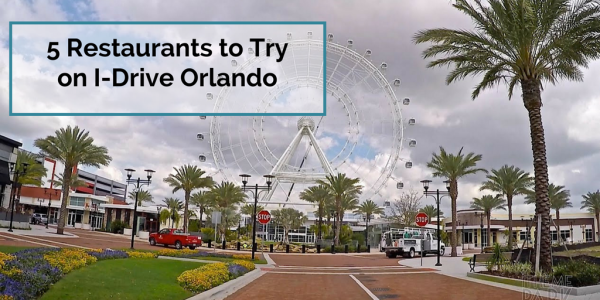 Whether you are visiting Walt Disney World, Universal Orlando or Sea World, you can find lots of different and really, really good restaurants along I-Drive in Orlando to end your day with a great meal. Everyone should visit I-Drive at least once when they are in Orlando because after all, there’s more to Orlando than theme parks! International Drive, commonly known as I-Drive, is a major 11.1-mile roadway in Orlando, and is the city’s main tourist strip. The International Drive area is home to the Orange County Convention Center complex, the Pointe Orlando entertainment complex, major hotels, SeaWorld Orlando, Aquatica (Sea World’s water park), Fun Spot America amusement park, the Orlando Eye Ferris wheel, the I-Drive 360 entertainment complex, museums, themed restaurants, bars, outlet malls, mini golf courses like Pirate’s Cove Adventure Golf and other tourism-related properties and tourist attractions such as Air Florida Helicopter Inc, Wonder Works and The Magical Midway. 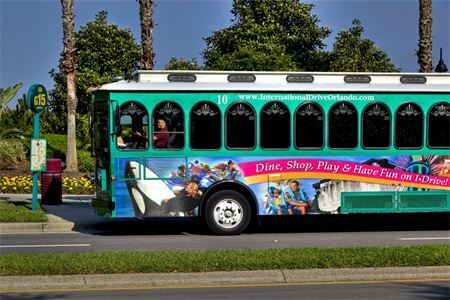 The I-Ride trolley system provides bus transportation along the I-Drive district primarily for tourists and convention attendees. Located at 8625 International Drive, this spot has a great atmosphere that has artists paint as you eat. It’s a really funky tapas spot with live entertainment plus a patio and a bar. The cafe offers brunch on both Saturday and Sunday with bottomless bloody marys and mimosas. Monday thru Friday, 3:30 to 6:30 you can enjoy 2 for 1 drink specials. Cafe Tu Tu Tango offers an entirely small-plate menu that is extensive, eclectic and diverse with everything being prepared from scratch. 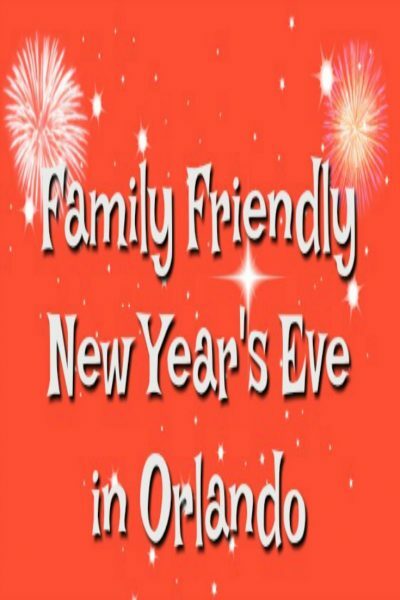 Located at 8440 International Drive, offers Friday, Saturday and Sunday steak nights and offers brunch on Sunday. Brick House also hosts “Happiness Hour” Monday thru Friday with a dedicated drink and snack menu. Daily and seasonal specials make the Brick House Tavern & Tap a fun spot to visit more than once since the menu will be slightly different with each visit. Located at 9101 International Drive in Pointe Orlando, Copper Canyon Grill offers patio seating, private dining room and a chef’s table. It’s a perfect location for lunch or a glass of wine. You can expect an energetic atmosphere and welcoming staff. The menu features a selection of freshly prepared items daily. Copper Canyon has happy hour daily from 3 to 7 p.m. with a nice selection of appetizers and drinks. The restaurant also has a dedicated gluten free menu. Located at 9150 International Drive the restaurant offers two floors, two state-of-the-art bars, four private dining rooms and a picturesque patio. It’s the perrfect place to relax and celebrate. Featuring a diverse wine list of more than 1,200 labels, diners are sure to find their inner Sommelier while they dine. Del Frisco’s offers one of the best happy hours daily from 4 p.m. to 7 p.m., except Wednesday when they’ll keep you happy from 4 p.m. until closing! Dinner is served Monday through Friday starting at 5 p.m. and Saturday and Sunday starting at 4 p.m. They also offer a dedicated bar menu with some great choices! Located at 9101 International Drive, The Oceanaire Seafood Room offers fresh seafood and an outstanding happy hour and bar menu. Only fish from the world’s most reputable suppliers is served, and each dish is carefully crafted to ensure the restaurant’s high standards of quality and flavor are exceeded. The menu is based on market availability, therefore selections change each day. Happy hour is every day from 5 p.m. to 7 p.m.; Monday through Thursday it starts up again at 9 p.m. to close in the bar only and on Sunday 8 p.m. to close. Do you have a favorite I-Drive restaurant?